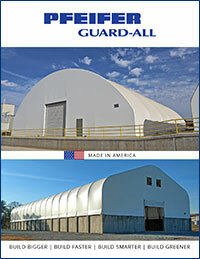 A key differentiation for Guard-All Building Solutions is the company’s willingness to take on unique and challenging engineering projects. 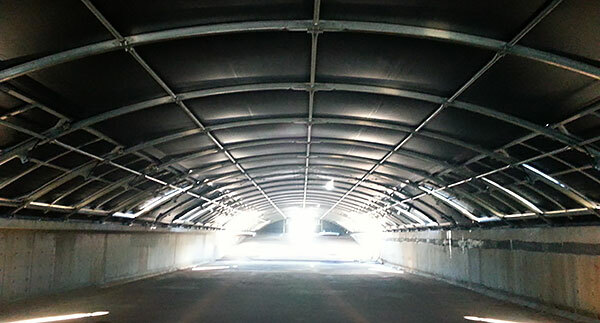 Much of the tension fabric building industry will avoid projects requiring a high degree of engineering in favor of simple, straight-forward projects. Here is one such project. 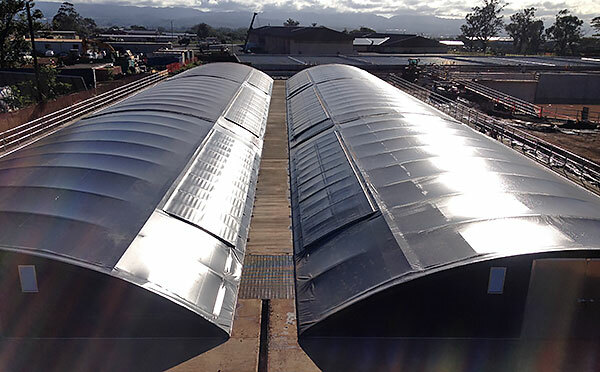 A client inquired about the possibility of incorporating operable, sliding or opening roof panels into one of Guard-All’s tension fabric buildings for a remediation pond that processes water sediment. The facility required operable panels so maintenance workers could access key sections along the building perimeter. Guard-All engineers set about testing a variety of operable panel mechanisms to find the right balance of cost, ease of use and performance. The engineers came up with a great solution to satisfy all the design parameters, latched pneumatic actuated panels. The access panels are closed under pressure so once the latch is released the panel lifts under power from the pneumatic actuators.